The Communication Sciences and Disorders department invites you to join us in continuing the long tradition of the Weekend Workshop for Effective Communication. This workshop is an intensive treatment experience for individuals who stutter ages 8 through adult. The 43rd Weekend Workshop will take place March 29 – 31, 2019. Throughout the weekend, participants will be able to benefit from a variety of treatment activities and engage in diverse communicative situations. Our treatment approach is based on an integrative, synergistic model, which individually combines evidence-based treatment components. The weekend focuses on three areas vital to achieving comprehensive change in one’s communication: speech, attitudes/feelings and environment. Come visit our Weekend Workshop Facebook page. Both clients and their families are welcome to participate in Weekend Workshop. Previous treatment experience is not necessary. For those clients actively engaged in ongoing therapy, we would be happy to tailor the weekend to your needs. Treatment is provided by our graduate student clinicians under direct supervision of our expert ASHA-certified clinical supervisors. Throughout the weekend, participants will have many opportunities to contribute to and take advantage of select open-mic opportunities. This provides a chance to embrace the challenge of the often-difficult situation of speaking in front of a group, while actively contributing to the weekend’s topic. The main event of each Weekend Workshop is a gala dinner on Saturday night, featuring a select keynote speaker. 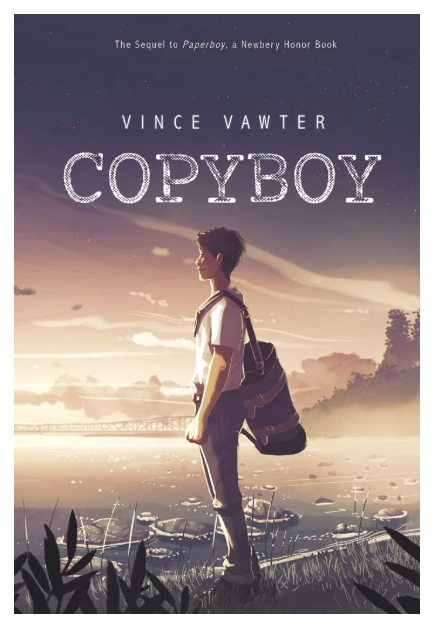 This year’s keynote address will be delivered by Mr. Vince Vawter, Newbery award-winning author, who has previously presented on his novel Paperboy, which chronicles his journey with stuttering during childhood. 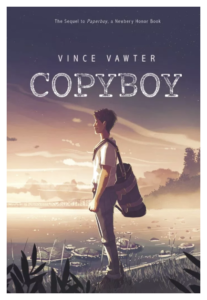 Mr. Vawter returns to Weekend Workshop this spring to premiere his sequel novel, Copyboy. Interested community members are also invited to attend Mr. Vawter’s keynote address. $5 tickets can be purchased online and will be available for pickup on Saturday evening. Please email stuttering@strose.edu or call 518-485-3092 with any questions. In an effort to support the process of creating lasting change, the format of this year’s workshop includes 6 follow-up sessions. The focus of these sessions is to support you in generalizing the progress achieved throughout the intensive treatment on March 29th – 31st. These follow-up sessions are included in the price of client registration and will be held on Monday evenings throughout the summer, as outlined in our brochure. 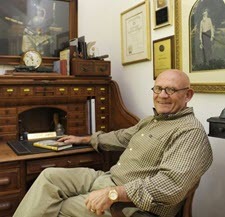 Sessions can be attended in person at The College of Saint Rose or via teletherapy. This is a flexible format using a video-conferencing system with your clinicians. For more information about WWEC ’19, including pricing, a schedule of events, location, and details about the follow-up therapy sessions, please see our brochure. Interested participants and their families should contact us to confirm their spot by March 1st. You can contact us at stuttering@strose.edu or 518-485-3092. We look forward to hearing from you! Our program’s long history of offering evidence-based stuttering treatment at limited cost to clients is made possible through donations. If you wish to contribute to the program, please click here.